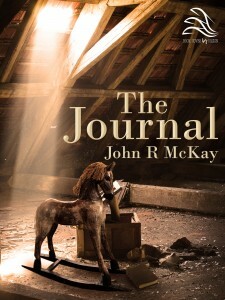 John’s first novel, The Journal, was inspired by his love of good thrillers and interest in the two world wars. So combining these themes, the novel is set it in modern times with flashbacks to the first and second world wars. The premise and first ideas came to him after visiting the World War One sites in northern France a couple of years ago and in particular his visit to the Carriere Wellington in Arras. This is an underground cavern system that the British army used as a holding area for twenty four thousand soldiers just prior to a major battle there in April of 1917. A visit to the site is recommended to anyone with an interest in the subject. ‘The Journal’ takes the reader from the streets of modern day England to the battlefields of early twentieth century France. It is the First World War, April 1917, and on the eve of the Battle of Arras, in an underground holding area, a British soldier is found dead in suspicious circumstances, leaving his war weary commanding officer with a problem on how to investigate the death so close to the battle. Fast forward to 2012 and to Northern England. As Danny Cooke, a reporter for a local newspaper, is trying to come to terms with the sudden loss of his girlfriend, who has been killed in a hit and run accident, he is informed that he has been mentioned in the will of a member of the British aristocracy and must travel to London for the will reading. There he is given a seventy year old journal that will offer an explanation as to why he is one of the beneficiaries of the stranger’s fortune. Whilst in London, Danny is targeted by a professional contract killer and flees to Paris whilst the police detective assigned to the case carries out investigations and attempts to apprehend his attacker. Safely in Paris, Danny reads the journal which he finds has been written by the aunt of the late baronet. In it she reveals family secrets that leave Danny shell-shocked and he realises that things that happened in this strange family’s past so many years ago now have a direct effect upon his own life right now. With the killer in pursuit, Danny fears that moving to Paris may not have been such a good idea after all. With flashbacks to the First World War and the London Blitz, ‘The Journal’ takes Danny on a terrifying journey as he tries to come to terms with his loss whilst at the same time, trying to avoid a killer. Both Kindle and paperback versions are reasonably priced. However, the prices can fluctuate as the price is dictated by Amazon.com. For better value it is recommended to purchase the Kindle version.